Travel to the mountains of British Columbia, relax on the beach in the Caribbean, embrace the spirit of the Himalayas, enjoy yoga and meditation with a view in New Zealand, or check into one of the best wellness retreats in Europe – there are many beautiful getaways to choose from around the world. While this list focuses on escapes outside of the United States, be sure to also read 20 Best Spiritual and Yoga Retreats in the U.S. Located across the bay from Nassau, the Sivananda Ashram Yoga Retreat is a tranquil and luxurious sanctuary of peace and serenity. Resting on a beautiful beach surrounded by breathtaking natural scenery, the retreat offers an idyllic oasis in which to practice, expand and deepen your knowledge of yoga. 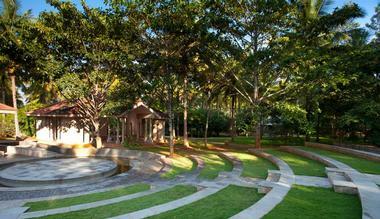 If you are looking for spiritual retreats in a tropical setting, this is a beautiful place to visit. Born from the love of yoga and travel, Eat. Pray. Move is a travel company that provides unforgettable yoga tours and wellness retreats to various idyllic locations around the world. Combining luxurious accommodation, world-class cuisine, exotic excursions, and daily yoga practice, the company promises a relaxing and rejuvenating experience, no matter where you are in the world. One of the popular tours is the New Year’s Eve Experience in Southwest Island in Iceland. This one-of-a-kind tour combines art and yoga to provide an unforgettable Icelandic break beneath the magnificent Northern Lights. The tour features a unique collaboration between Julian Hyzler from EASEL&LENS, who offers a variety of art projects such as "ifonography" (smartphone photography) throughout the week, and a varied and creative yoga schedule that focuses on body and mind. Luxurious accommodation and healthy cuisine are provided, as well as an array of activities and excursions in the surrounding landscape. Nestled in the spectacular mountains of British Columbia, Canada, the Yasodhara Ashram is a wellness retreat and study center committed to providing spiritual and intellectual experiences for all yogis. The Yasodhara Ashram offers an exciting variety of courses and retreats with classes, yoga sessions, and meditation offered throughout the day. All activities are designed to build a foundation of knowledge allowing you to experience further growth in your path to attain a lifestyle of yoga. Crystal Hermitage is a New Age-style meditation center and tranquility garden, based on the Ananda meditation movement following the teachings of Paramhansa Yogananda. 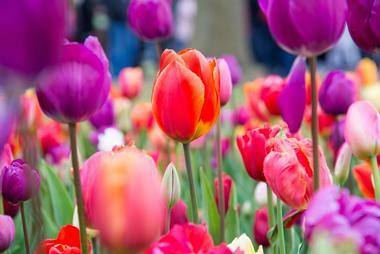 More than 36,000 visitors have explored the facility's beautiful landscaped gardens, which are set against the backdrop of the exquisite Tahoe National Forest and Yuba River Canyon and showcase spectacular plantings of spring bulbs and wildflowers throughout April. The facility's chapel is designed after the Porziuncola of Saint Francis, while its Shrine of the Masters houses artifacts related to significant gurus and saints of self-realization. Visitors can also stay overnight at the facility's guest house, which offers private living space and houses up to four guests. 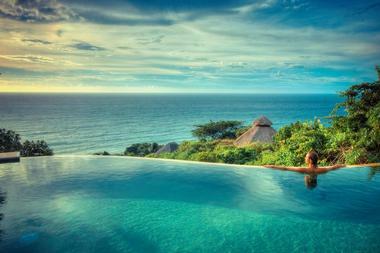 Resting on a cliff top high above the lush rainforests of Montezuma in Costa Rica, Anamaya Resort is an exclusive and exotic resort with tranquil surroundings and breathtaking views. Located in one of the world’s most beautiful tropical beach towns on the southern Nicoya Peninsula, “Anamaya” (meaning “good health” in Sanskrit) features elegant accommodations, gourmet, organic cuisine, a variety of indulgent spa services, and a variety of yoga classes, workshops and wellness retreats aimed at the body, mind and soul. While staying at Silver Island Yoga located 50 miles from the mainland of Greece, you can realign your chakras by participating in a mindful yoga retreat. 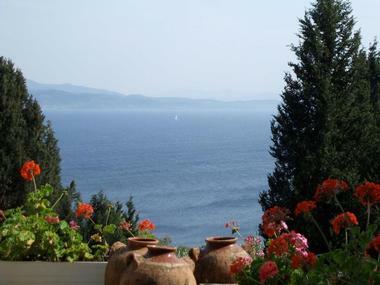 With the proximity of the Aegean Sea, you will feel the embrace of fascinating Greek history. Take time to explore the island, and be sure to include a visit to the island’s historical church. This Sunday - Saturday retreat allows you to experience complete tranquility in a distraction-free environment, as the island does not have Internet access. 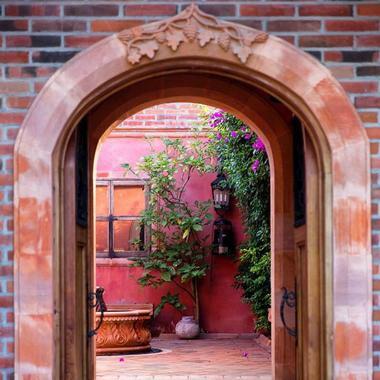 Rancho la Puerta is a rejuvenating wellness retreat located conveniently near San Diego, originally opened in 1940 by Edmond and Deborah Szekely. The retreat, which is created with sparking the modern fitness retreat revolution during the 20th century, is still operated by Deborah today and strives to promote healthier lifestyles among Americans, including better fitness and mindfulness practices. Guests of all ages and ability levels are encouraged to renew their minds and bodies as part of retreat activities, including spa treatments offered at the retreat's full-service spa and holistic healing practices such as acupuncture and craniosacral therapy. Nutritious meals and culinary experiences are offered at the retreat's organic farm and La Cocina Que Canta culinary center. 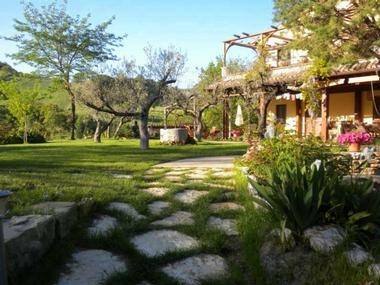 Simple Peace Hermitage offers a range of meditation retreats in the appealing town of Assisi, Italy. Wellness retreats are based at a magnificent hilltop abode surrounded by hundreds of acres of rolling farmlands just a few kilometers from the center of Assisi, and are exclusive and intimate, with a maximum of seven guests together at any time. 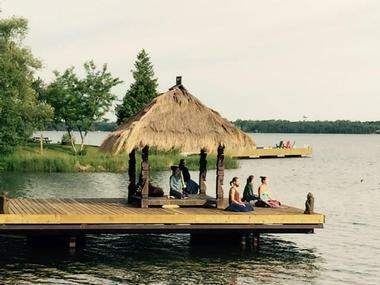 Located on the pristine Wolfe Island near Kingston, the gateway to Canada’s Thousand Islands, Shanti Retreat is an idyllic island getaway that promises absolute relaxation and rejuvenation. Resting on a sprawling 11-acre property, the retreat boasts a comfortable turn-of-the-century inn and cozy cabins scattered along 1,000 feet of shoreline. Cabins are stylishly furnished with modern amenities and embrace panoramic views of the St. Lawrence River and landscapes beyond. 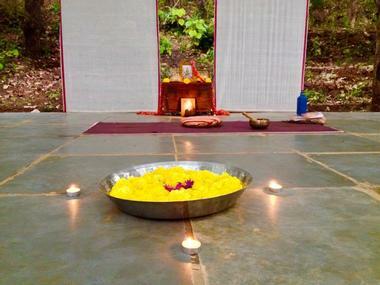 Lotus Yoga Retreat is a splendid yoga resort near the beautiful beach of Agonda in South Goa. Featuring eco-friendly accommodation surrounded by lush, tropical gardens that inspire a tranquil and serene ambiance, Lotus Yoga Retreat is the perfect place to unwind and escape from it all. Far away from the crowds, but close enough to the hubs of Agonda, Palolem, and Patnem if you need some excitement, the retreat offers it all. Nestled in a secluded beach cove on Nicaragua’s magnificent Emerald Coast, Aqua Wellness Resort is a luxurious and tranquil seaside retreat set within a lush tropical jungle setting. Featuring luxurious accommodations, a full-service spa and wellness center, award-winning cuisine and a variety of activities, the resort promises an idyllic escape from the hustle and bustle of the daily life. 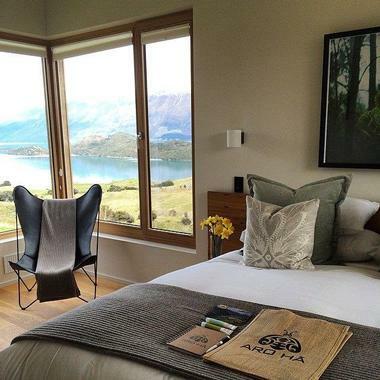 Aro Ha is a wellness experience located in New Zealand’s ethereal the Southern Alps. 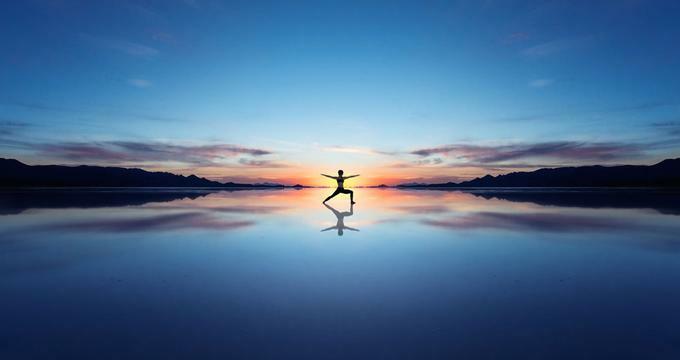 Designed for the rejuvenation of the human spirit, Aro Ha offers life shifting, body morphing, spirit-lifting retreats combined with body sculpting programs such as sub-alpine hiking, vinyasa yoga, and dynamic movement. Situated in the magnificent coastal region of Mexico’s Riviera Nayarit, near the quaint town of Sayulita, Haramara Retreat is a tranquil oasis that merges tropical harmony with mind-body-spirit experiences. Backed by the majestic Sierra Madre Mountains and facing the shimmering Pacific Ocean, Haramara Retreat features 16 elegantly rustic thatched cabanas ensconced among the lush tropical rainforests, connected by a network of private trails. Connect with the timeless world of yoga at the Kura Kura Yoga Retreat Bali by participating in one of the organized wellness retreats or planning your own personalized retreat. 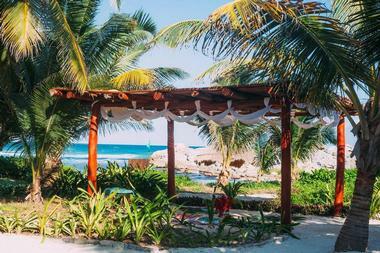 With the sacred Seseh Beach outside your front door, you will add depth to your yoga practice and connect with nature while visiting this paradise. 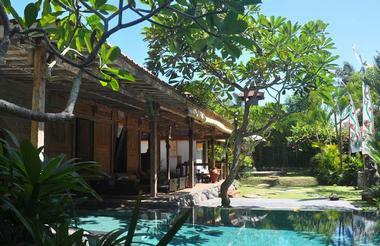 You will also experience traditional Bali culture during your stay in the town of Seseh. 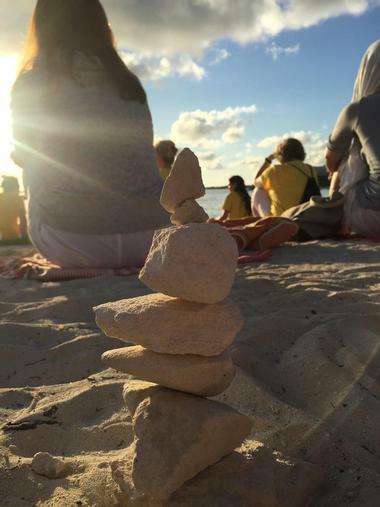 The staff at Kura Kura, whose members consider themselves as family, provides expert guidance should you choose to plan your own retreat, offering you an opportunity to completely recharge. 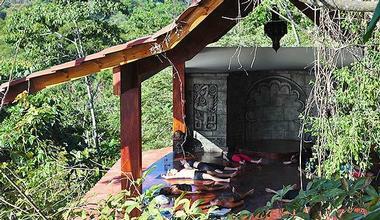 If you prefer, you can also choose from one of the planned retreats, which last 6 days. Located in the heart of the Australian rainforest and close to the beaches that meet the Great Barrier Reef, the Sanctuary Retreat in Mission Beach, North Queensland is the perfect escape for those in search of absolute tranquility. During your stay, you can spend your days attending yoga classes, hiking the various rainforest trails, lounging at the beach, or getting a massage onsite. For your stay, you have the choice of two accommodation options. With screens as walls for weather protection and a verandah to enjoy the picturesque views, the Rainforest Huts provide simple accommodations that include shared bathrooms. Otherwise, you can select a Deluxe Canopy Cabin with sturdier walls and additional modern amenities and accommodations. Some rooms and common areas are even Wi-Fi accessible. You will love walking through the rainforest using the boardwalks that have been put in place to protect the rainforest floor at the Sanctuary Retreat. 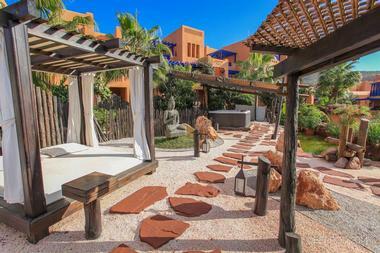 Located in Morocco, Paradis Plage is the first surf, yoga, and spa resort in the area, and features several luxury amenities to pamper you throughout your stay. When making your reservations, you will see that the resort provides package options allowing you to design the ultimate yoga, surf, and spa vacation. The Paradis Plage is surrounded by gorgeous scenery, so you can’t go wrong when choosing from one of the 5 refined accommodation options, one of which is a Junior Suite with Wi-Fi access and an elegant bathroom. If you are looking for a spiritual holistic environment where you can have the ultimate yoga retreat and spa experience, the Ananda In The Himalayas, located in the Himalayan foothills, is an excellent choice. With breathtaking views of the Maharaja Palace, your mind and body will be enriched after your stay. The Ananda Spa blends traditional Indian wellness regimes with Ayurveda, yoga, and Vedanta programs and services offered by the full-service spa. A visit to this retreat will surely center guests and transform their lives. During your stay, you will have the opportunity to take several workshops or enjoy billiards, golf, cooking classes, and water activities to recharge your spirit. Located in Tuscany, Italy The Hotel Adler Termae is an idyllic yoga retreat highlighting the spectacular beauty of the region. You will be greeted at check-in with a welcome cocktail, and all throughout your stay, you will be pampered with world-class inclusive services that include appetizing dining options, a modern fitness center, and daily yoga classes. The accommodations at the Hotel Adler include Superior Rooms, Family Junior Suites, and Family Suites featuring bright, regional décor, providing you with ultimate relaxation. 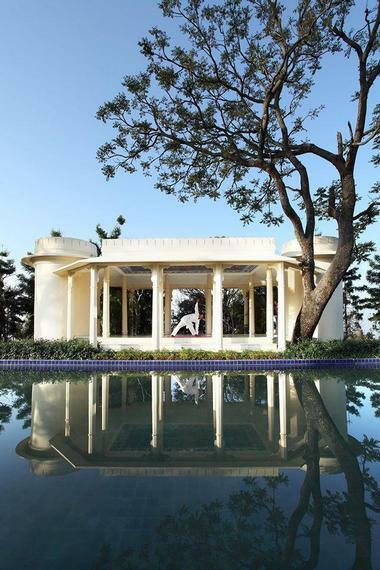 Embark on a life-enriching journey of self-discovery at Shreyas Yoga Retreat, a 25-acre secluded paradise in Bangalore, India which is a member of the Relais & Chateaux group. This authentic and traditional yoga retreat provides a variety of packages and wellness retreats that incorporate twice daily Ashtanga and Hatha yoga classes as well as chanting and meditation sessions. Take advantage of complete comfort in one of the 3 types of villas on the property, which overlooks lush and beautiful gardens. Without television in the room, you will be able to dedicate yourself completely to meditation and self-reflection. At this retreat, you also have the opportunity to visit the Rejuvenation Spa and try out a variety of massage and body treatments. Present Moment Retreat is a boutique hotel right along the ocean that specializes in yoga retreats and wellness classes. There are eleven private bungalows, each of which has unique styling. The bungalows are designed to be authentic and feature a palapa thatched roof that was hand-crafted in the traditional manner. 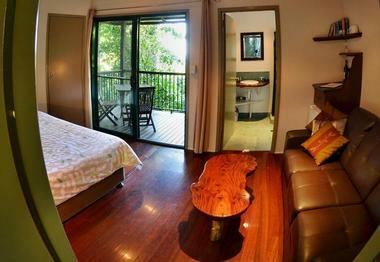 The bungalows have queen beds with pillow tops, white linen canopies, and luxurious bedding. Rooms also have wireless Internet, fine art and antiques, rain disk showerheads, shower floors made of ocean stones, and private decks along with meditation gardens. 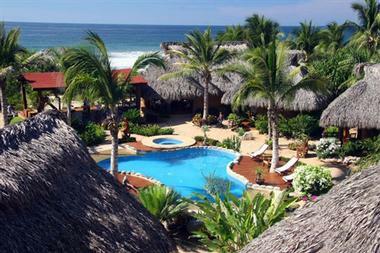 Guests can participate in a wellness class, Qigong dance class, meditation, or yoga right by the sea. There are also various spa services, including healing arts, energy work, wellness counseling, and massages. There are even cleansing/detox programs. Other hotel amenities include the yoga pavilion and boutique and gift shop. The hotel has delicious gourmet food as well, including the freshest seafood and a number of options for vegetarians. There is even an extensive tequila menu featuring selections from dozens of distilleries around the country. 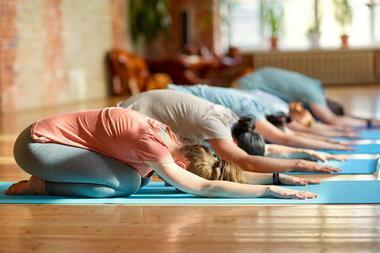 Guests can even take lessons to become a yoga teacher. There are a range of nearby attractions, including hikes to waterfalls, surf-yoga trips, surf lessons, eco tours, sunset horseback riding, and kayaking. Maya Tulum Resort is an alluring seaside wellness resort on the beautiful Yucatan Peninsula of Mexico that features incredible natural scenery, luxurious accommodations, world-class cuisine and a range of mind and body healing activities. Maya Tulum offers a range of luxurious seafront accommodation from garden cabanas to deluxe beach villas, each of which is stylishly furnished with beach décor and modern amenities. Located in Hua Hin, Thailand, Chiva-Som is an award-winning spa resort with a focus on health and wellness retreats in the lap of luxury. The property includes seven acres of lush tropical gardens, and features luxurious accommodation in the form of 58 stylish and sophisticated rooms, suites and exclusive Thai pavilions with spectacular views of the water. The resort boasts a full-service spa with 70 treatment rooms, as well as a kinesis studio, gym, and an extensive outdoor pool complex with a flotation pool and ‘watsu’ pool. 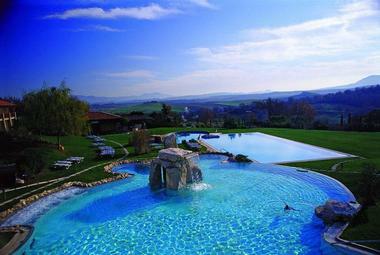 There is also an indulgent bathing pavilion with ‘Kneipp’ bath, steam room and sauna, Jacuzzi and indoor swimming pool. Healthy spa cuisine is served in The Emerald Room or the Taste of Siam, and the resort offers an array of health activities, including yoga, tai chi, Pilates aqua aerobics, and cooking classes.